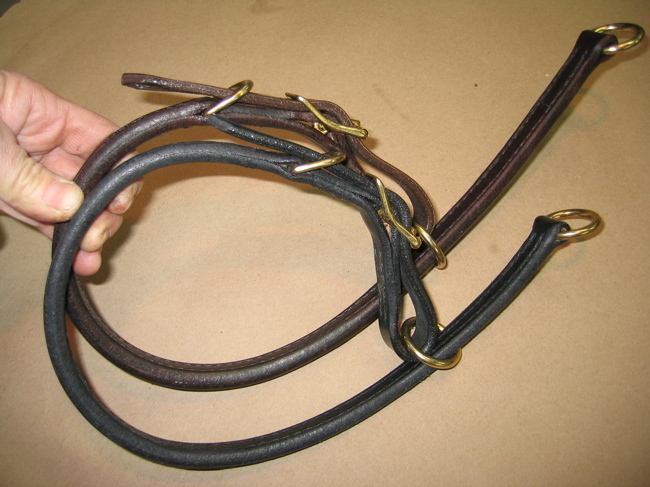 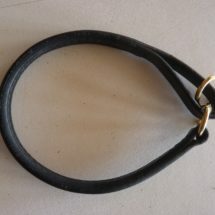 A strong large breed collar. 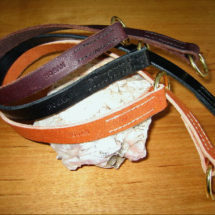 Handmade of Premium English Bridle Leather & beautifully stitched throughout. 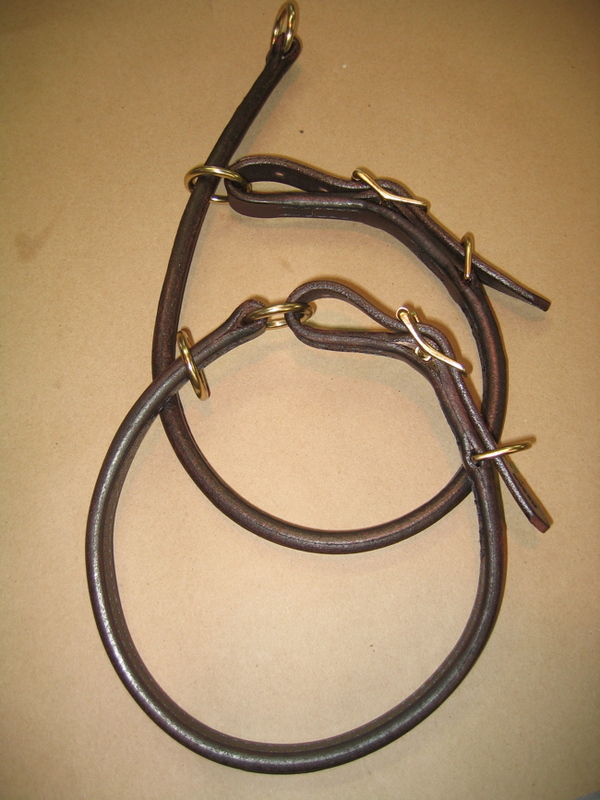 3/4″ width, deep round carved edges in Solid Brass or Chrome Hardware. 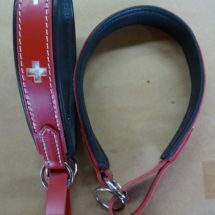 This Collar will function as either a choke or buckle collar.